GMC first used the Yukon nameplate in 1969 although 1991 was the first official production year. The SUV body style was updated for use with smaller V8 engine blocks. GM pioneered the luxury SUV development in the U.S. and placed emphasis on the Yukon. The PreownedTransmissions.com supplies GMC Yukon transmission inventory for prices that rival most discount sources in the U.S. The 5.3 V8 is by far the most common motor used in the Yukon. The recently changed transmissions in the 1990s introduced the electronic builds by GM. 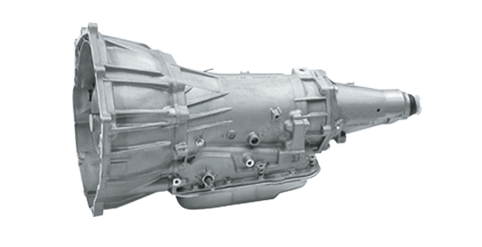 The newly named 4L60E became the flagship gearbox used in the U.S. market. These four-speed editions are still in use today although a newer build does exist. The 4L65E is often found paired with the larger Vortec 6.0 V8 engines. The Yukon now uses a larger six-speed gearbox the builds produced after 2010. These units are also found in many of the newer Silverado trucks. The SUV gearboxes that are provided through this page are automatic units. This covers the biggest range of units that are offered in second hand condition. Every build that is made for sale here is a validated unit purchased from trusted sellers. Buying an automatic transmission can be exciting when the right sources are used. A used GMC gearbox should always have low mileage. This prepares a buyer for a long-term usage period without issues. The four-speed and six-speed automatic transmissions for sale here online are packaged with warranties. PreownedTransmissions.com is one of few sources providing up to three full years of OEM coverage for replacement parts. There is a digital process of requesting price quotes here. A simple entry of Yukon year and engine type supplies the prices attached to every transmission. These quotes are easy to obtain and always feature the best pricing. This automated way of price discovery is meant for anonymous Internet shoppers. There are other ways to find authentic GM transmission pricing offline. A toll-free phone support number is always provided here. This means that any person within the U.S. can find immediate prices by phone. Getting the chance to speak with a real person can enlighten any transmission buyer. The codes, VIN numbers and other information that is important at the point of sale is always double checked through phone calls. Buying replacement GMC gearboxes from this source is a reliable way to get a unit used for long-term use.